Contractor liability insurance policies vary tremendously, so an experienced and knowledgeable agent is critical to customize your protection. We make it our business to understand each artisan and trade group’s unique insurance requirements, and can tailor the coverage to fit your own precise needs. Our coverage includes both liability and property coverage. We also offer additional coverage enhancements such as tools and equipment coverage, protection for the property of others, as well an installation floater and other options. We have the knowledge and experience needed to provide you with a policy designed specifically to meet your needs. 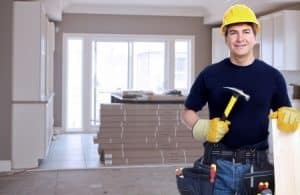 Please feel free to give us a call at 844-848-1902 or send an e-mail request for more information about contractor liability insurance in Rhode Island, Massachusetts, and Connecticut.